In its February 2013 Employment Outlook, job search leader Simply Hired has reported that job openings increased nationwide by 1.1 percent in January with a year-over-year increase of 7.6 percent. Job competition remained at a steady three unemployed persons to every one job opening. 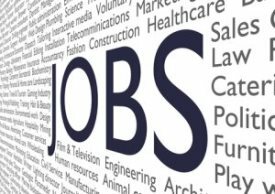 Job openings increased in 40 out of 50 major metropolitan areas in January with West Palm Beach leading the pack at 6 percent growth, followed by Seattle Tacoma at 4.2 percent growth, Las Vegas at 4.1 percent growth, and Atlanta at 3.3 percent growth. Job openings increased in half of industries (9 out of 18) in January. Industries experiencing the largest gains for the month were agriculture and technology at 21.1 percent and 13.7 percent, respectively. The biggest job losers in industry for the month were non-profits (-30 percent) and legal (-22.6 percent). Over the year, 60 percent of industries have reported job growth. Occupation categories began the year strong as 17 out of 24 saw job growth year-over year. Leaders in this realm include personal care and services (17.6 percent) and building and groundskeepers (5.6 percent). Computer engineers experienced the most severe decline in January at -9.3 percent.